About 60% of human body is nothing but water, so it is obvious that increasing your intake of water is important to stay healthy. Water helps flush toxins out of your system, keeps dehydration at bay, and improves energy as well. However, you can improve these benefits simply by including limewater in your diet. Ideally, you should be drinking at least 8 glasses of fluid per day – each glass should be of 8 ounces. You can drink limewater as well to reach that goal. Drinking plain water is always important for your health, but you can reach your goal of drinking 8 glasses of fluid each day by including limewater in your diet. All you have to do is add a little lime juice to a glass of water and drink it daily. Here are some interesting benefits of lime water. You can find many skincare products that promise to improve your skin quality, but you can get great results without having to spend a lot of money. Simply drink limewater to rejuvenate your skin. Limes are packed with flavonoids and vitamin C that work as antioxidants in the body and prevent cellular damage to your skin. 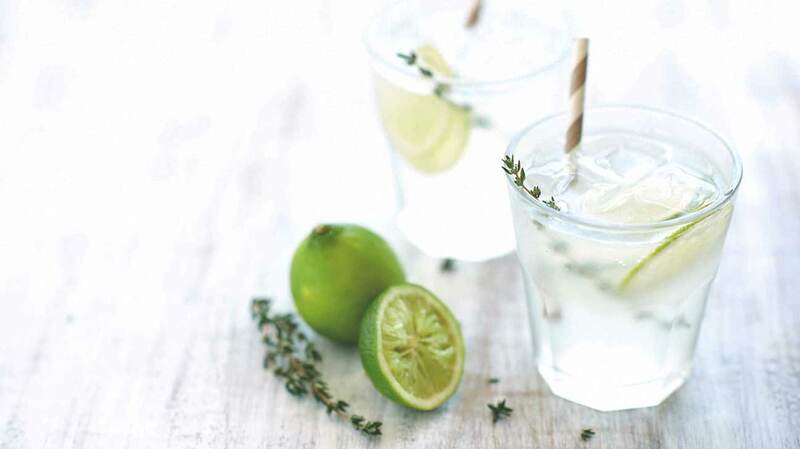 Limewater also helps keep you hydrated and improves the overall health of your skin. By including lime water in your routine, you can help keep your digestive system healthy. The acidic nature of limes helps make it easier to break down food, which in turn improves digestion. Limes also contain flavonoids, which increases the production of digestive juices. Drinking limewater may also prove beneficial for anyone suffering from constipation because it restores bowel activity by clearing the excretory system. Drinking a glass of warm water with a couple of teaspoons of lime juice added to it can also help prevent acid reflux. One of many benefits of lime water is that it helps with weight loss. It contains citric acids that improve metabolism and help you burn additional calories. When combined with regular physical activity, drinking lime water can improve the number of calories you burn daily. You can drink a glass of lime water in the morning to experience some amazing benefits. As per the American Diabetes Association, citrus fruits, including limes, may help control your blood sugar levels more effectively. Limes also contain soluble fiber that helps regulate blood sugar levels. By preventing fluctuations in blood sugar levels, limes can help control diabetes in a better way. Just like other citrus fruits, limes have a low glycemic index, so there is no need to worry about making them a regular part of your diet. The presence of soluble fiber is the reason why lime water is beneficial for your cardiovascular system. Regular intake of lime water may lower blood pressure and even keep the levels of bad cholesterol in check. Getting soluble fiber also helps prevent inflammation of the blood vessels, which in turn protects you against strokes, heart attacks, and other heart diseases. You are likely to develop joint problems when you have high uric acid levels in your body. Your body produces uric acid after digesting many foods, but the levels stay in check because the body eliminates it through urination. A buildup of uric acid may lead to inflamed joints and cause serious pain. Simply include lime water in your diet to eliminate excess uric acid from your body and prevent arthritis. One of many benefits of lime water is that it helps treat wounds and ulcers in the digestive system. It works equally well to treat ulcers in the excretory system. Regular intake may treat piles and prevent a flare-up by providing relief from constipation. A buildup of free radicals in the body is usually the main cause of gout, but it may also happen when toxins accumulate in your body. Whatever the cause, drinking lime water may help control your symptoms because it helps eliminate toxins from your system. It also contains vitamin C, which prevents free radical damage. You can have a glass of lime water on a daily basis to help detoxify your body. It also contains potassium, which helps remove the precipitates found in the urinary bladder and kidneys. Through this action, it improves your urinary tract health and prevents urinary problems. Regular intake may also help prevent enlargement of prostate gland, which is a common issue for men in their 40s. One of the benefits of lime water is boosting immune system due to the presence of vitamin C, flavonoids, and other antioxidants. It eliminates free radicals from your system and supports your immune system to lower your risk of developing common infections. Moreover, its high vitamin-C content is extremely beneficial for your brain because it supports the production of some important neurotransmitters. How Is Sugar Related with Constipation?